You do not have a right to be on probation. You do not have to be convicted of a new crime to have your probation revoked. The rules heavily favor the State. We can help level the playing field. Call (954)990-0525 to schedule a free consultation. A probation violation, sometimes referred to as a “vop” or “violation of probation”, is not the same as a criminal charge. The first difference that you are likely to discover is that there is typically no bail for a probation violation. As a result, you are likely to remain in jail until the violation is resolved. Probation violations can devastate your family life, personal relationships and employment. You need a quick and effective resolution to get you out of jail and back to your life. Our goal is to get your probation reinstated quickly and, if possible, save your withheld adjudication. How is a Probation Violation Different? The State must prove that you violated your probation before your probation can be modified or revoked. It is a lot easier to have your probation revoked than to be convicted. The State is held to a different burden of proof in a violation of probation hearing. In a criminal case, the State must prove your guilt beyond a reasonable doubt. In a violation of probation hearing, the State must prove that you committed a willful and substantial violation of the terms of your probation with enough evidence to “satisfy the conscious of the court.” This is a subjective standard and many judges use a preponderance of the evidence standard. You are not entitled to a jury in a violation of probation hearing. The case will only be heard by a judge. You do not have a right to a speedy trial for a violation of probation. Discovery, the process of exchanging information between the prosecution & defense, is very limited. Criminal attorney, Michael Dye, has represented hundreds of individuals in violation of probation proceedings. Mr. Dye has successfully resolved probation violations by plea and, when an agreement cannot be reached, by hearing. Mr. Dye has substantial resources and contacts in the recovery community and has been able to facilitate drug and/or alcohol treatment as opposed to incarceration. 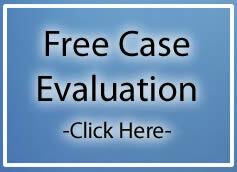 Call probation violation attorney Michael Dye at (954)990-0525 to schedule a free consultation.